The Spawn Cycles 20" wheelset is the same great wheelset found on the Raiju. 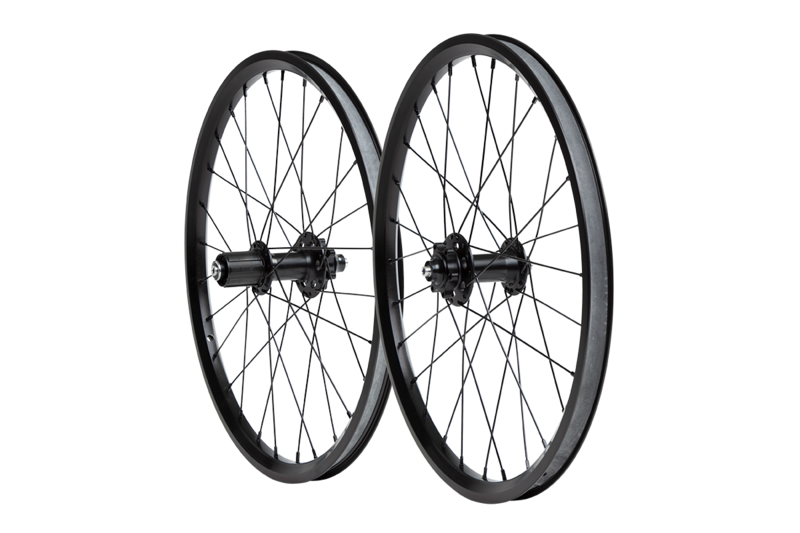 The wheels start with a 135mm wide rear hub with sealed bearings and a Shimano HG compatible freehub and a 100mm wide front hub with sealed bearings and a 9mm QR axle design. 28 spokes connect the hubs to the double wall rims. Compatible with 6 bolt brake rotors. QR skewers not included.